Located off Hampton Blvd outside of Gate 2. The Nationwide Insurance: Bell Insurance Agency Corporation in Norfolk, VA provides the following products. To learn more about each insurance product, click on the links below. Bell Insurance Agency Corporation is committed to finding Norfolk drivers affordable coverage and available policy discounts, while also delivering superior customer service. That's why we've chosen to partner with Nationwide. The advantages begin with great coverage at a great price, but many Norfolk drivers find ways to improve their policy year after year. From the Vanishing Deductible® program to free policy evaluations, get a better auto insurance experience with Bell Insurance Agency Corporation. Bell Insurance Agency Corporation will help identify and eliminate any gaps in your coverage. Our agents also work hard to eliminate any gaps in customer service. See the local Norfolk network of qualified car repair shops. Learn about the extra peace of mind that comes with being able to securely monitor car repairs through Nationwide's AutoWatch® program. Bell Insurance Agency Corporation can answer any questions Norfolk drivers have about claim limits, policy options, or specific types of vehicles and household drivers. Don't get overwhelmed by the complexities of auto insurance. Call us at (757) 489-4822, and make your choices quickly and confidently with one of our knowledgeable agents. You can also set up a time to talk in our office. You'll find Bell Insurance Agency Corporation at 8401 Hampton Blvd. 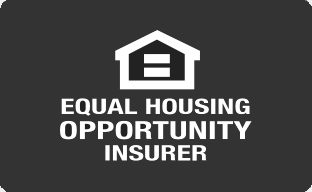 At Bell Insurance Agency Corporation it's our job to increase your sense of financial security and peace of mind through adequate home insurance. There are many components that make up a well-designed insurance policy and Alex H Bell II can help you understand and choose the right types and amounts of coverage for your individual situation. Your location in Norfolk, the number of detached buildings on your property, and your personal belongings all affect the type of coverage you need to be sufficiently protected. We want your entire experience with Bell Insurance Agency Corporation to be simple and hassle-free and that's why we work with Nationwide. Specialized coverage, easy claims processing, and top-notch service are the standard, and each policy is tailored to fit your specific structure and situation. With focused optional coverage such as Brand New Belongings®, you can receive assistance in replacing or repairing your covered belongings. Whatever options you choose, we strive to make your entire insurance experience, from choosing a policy to filing a claim, as simple as possible. If you need coverage but don't have time to stop in our office, give us a call at (757) 489-4822. We can design a policy over the phone and answer any questions you may have about protecting your valuables. Call today for service or to schedule an appointment at our office located at 8401 Hampton Blvd. At Bell Insurance Agency Corporation, we want to make customers aware of how easy and affordable life insurance is. We know many people in Norfolk think they cannot afford to have a good policy that protects their financial interests. That is why we work with Nationwide to provide customers with the diverse coverage options they need to sleep peacefully at night. To better understand coverage options, we encourage you to contact Alex H Bell II at (757) 489-4822 to arrange a time to meet in office at 8401 Hampton Blvd,Norfolk,VA,23505 to discuss your needs. For additional convenience, our agents are ready to help you go over coverage options over the phone. Finding peace of mind as a small business owner means being prepared for challenges your company might face as it grows. A good way to do that is by having a broad risk management plan and updating it after each new growth phase adds to the complexity of your operations. The Bell Insurance Agency Corporation works with Nationwide to make this easier by providing the kind of robust and customizable insurance that has already serviced over 500,000 small businesses. To get the process started, Alex H Bell II may recommend purchasing a business owner's policy. This provides basic coverage along a variety of lines and represents the closest thing that business insurance has to a comprehensive policy. From there, agents conduct an On Your Side® Review to find specific areas where your company could use a little more coverage, and these vary quite a bit from business to business. Examples include insurance on your receivables, on equipment and other specific high-value assets, product liability, and basic property insurances. Finding the right coverage for a small business in Norfolk is a process, but it is a process that Alex H Bell II has the experience to guide you through. That way, you have the security you need to take advantage of every new business opportunity. To get things started, call (757) 489-4822 for a phone consultation or to set an appointment for a meeting at our offices located on 8401 Hampton Blvd. The Bell Insurance Agency Corporation also offers products in ME, VA. Please call for information on products in those states. 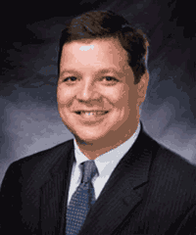 Alex began his insurance career in 1982 as an Independent Agent in Norfolk, VA. He attended the Aetna Home Office Sales Course for five weeks in Hartford, CT in 1983. Alex was involved with the Independent Insurance Agents of Virginia on the legislative committee, and he was also President of the Independent Insurance Agents of Tidewater 1987-1988. In August 1992, Alex joined Nationwide Insurance through the NADP (New Agent Development Program) and rolled over his existing customer base into the Nationwide family. Since that time, Alex's agency has grown through agent acquisitions and organic growth. Alex has achieved President's Conference, Conference of Champions, MDRT, and other awards over the past 20 years with Nationwide. Our agency is conveniently located in the middle of our city at 3213 Virginia Beach Blvd, between the Rosemont Rd and Lynnhaven Parkway exits. It is the main road as you travel between Norfolk and the Oceanfront. For your convenience, we have an agency call center to answer insurance questions about your account from 7:00 am until 11:00 pm, Monday-Saturday.